Meet my new taco obsession, Cauliflower Tacos. My sister and brother in law had been raving about these tacos for awhile now. My sister said they eat them at least once a week, so last week on our beach trip they made them for us and I was blown away. For a meat free taco these are amazing. They are a bit spicy which I love. The cauliflower gets a little caramelized and crispy and trust me you won't be able to stop eating it. The spicy cauliflower paired with sweet fresh corn, and creamy avocado is just the best flavor combo. The cauliflower is delicious on its on too. I gobbled up our leftovers over quinoa the next night. I think this may just become a weekly meal for us too! Preheat oven to 425 degrees. Cut the cauliflower into bite size pieces. Mix together the hot sauce, melted butter, garlic powder, and salt and then pour over the cauliflower and mix well- I usually do this in a large bowl and then transfer to a baking sheet. Place the cauliflower on a baking sheet and bake for 40 minutes, after 20 minutes stir the cauliflower once. While the cauliflower is cooking, boil the corn. I usually boil it for about 10-5 minutes just to slightly cook it and soften the kernels. Once it is done cut off the kernels and place in a bowl. As many of you know I am cookbook obsessed. I get so excited when I find a new cookbook. 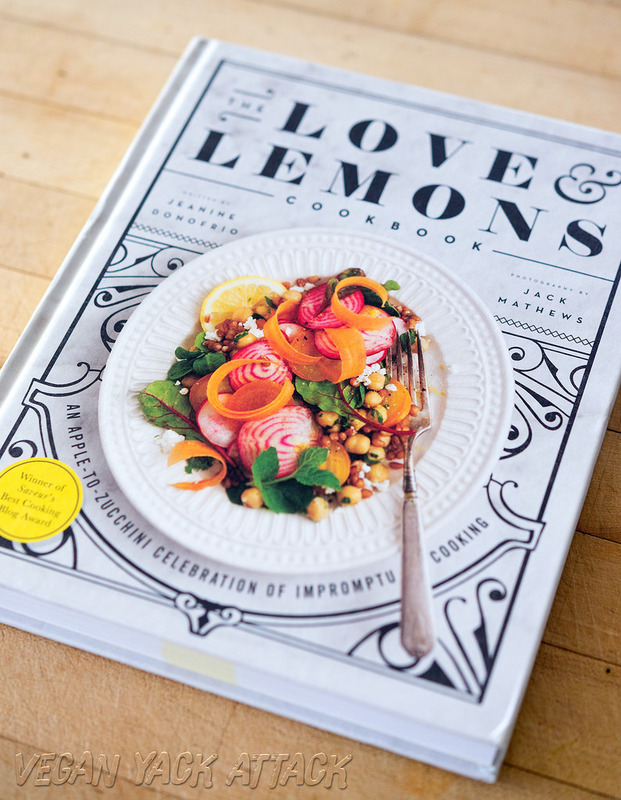 Well I had a few readers recommend the Love and Lemons Cookbook and I have to say it may just be one of my favorite cookbooks ever. Now keep in mind I have only made one recipe (the Quinoa Salad Radicchio cups, see picture below) and it was beyond delicious. I can just tell the rest of the recipes will be just as good. I judge a cookbook by its layout and the recipe content. This cookbook is beautiful and it has a picture of every recipe. I love pictures, it helps me visualize the recipe. The cookbook is divided into categories by vegetable which I love. I seriously took it to bed with two nights just to read and devour the recipes. It is a vegetarian cookbook so if you are looking for meat free recipes, I highly recommend this cookbook! those tacos look (and sound) so good!! I make gwyneths cauliflower once a week already so this should be easy to add into the rotation! you always have the best recipes! I can't wait to try these! I saw them on Buzzfeed too, but your post makes them look 10 times better! I love your meal posts- simple, fresh, and easy for summer. Excited to try some of your other dinner ideas too. Thanks for the new ideas! I made these tacos for dinner tonight and they were SO good! Even my husband who is SUPER picky loved them. Definitely adding it to the rotation. Thanks! I made these last night and they were fantastic!! Thank you! Ok I made these tonight...minus the corn because I forgot it at the store! I put them over blue corn crunchy taco shells, with roasted grape tomatoes, avocado, and refried black beans topped with chipotle hot sauce! OH EM GEE! My entire family...including the toddler (!!!!) ate at least three! I ate 4! the vegetarian aspect of these makes them light! Were gonna have these on heavy rotation but I'm on a mission to find corn for next time! Thanks for the amazing recipe! How many tacos would you say this makes? Trying to determine if I should double the recipe for 4 people! Thanks!